Whether you’re an eCommerce industry veteran or perhaps just beginning to consider a career within e-commerce as an eComm manager – ‘How much do eCommerce managers earn?’ is always a relevant question to ask. Searches on this website show it’s one of the topics that’s always top of mind. We’re all curious; are we being paid what we’re worth, or not? Searches on this website for eComm managers show it’s one of the topics that’s always top of mind; we’re all curious; are we being paid what we’re worth, or not? 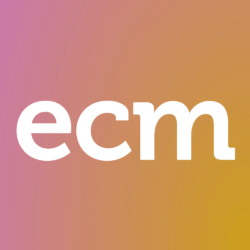 For the first time, we’re running an eComm Manager salary survey, there are 8 questions and it’ll take you just 2 minutes to complete. We’ll contact you by email to share the results. The Delivery Conference, by MetaPack, is an eComm conference that took place on Tuesday 30th Jan, 2018 with talks on delivery, customer experience, cross border trade, logistics and supply chain strategy. Check out the highlights from The Delivery Conference 2018 below, and the presentations from the event here. In recent years there has been an ongoing growth of ecommerce retail, to the point of shocking brick and mortar stores and their future. 2017 has seen the decline of brick and mortar retailers with Sears falling apart for not having a solid retail business plan, while ecommerce grew more than 17%. Nonetheless, for those interested in setting up an online retail business, keep in mind it’s not a piece of cake. As a matter of fact, just like any business it requires planning and attention. That’s why you need know how to create a solid ecommerce business plan. The way to start molding your ecommerce business plan is to start from its core: what are you going to sell? Now, how do you decide that and why? Start by what you’re passionate about. Whether it’s science or sports, a particular hobby, these are all good options as you might be considered an “expert” in the matter by dealing with it daily. From there, you must think what can you make or sell that’s different to the rest, innovative in some aspect. Remember, there is already infinity of products out there, a lot of tough competition, but as statistics show, there is growth and there is opportunity. Whether it’s a B2B a product, an everyday item, or even a service such as an online course, it can be sold on an ecommerce store. Nevertheless, you have to find a product that either brings something new to the table, an innovative feature, or you must stand out somehow, maybe by having a more in depth knowledge than anyone else, allowing you to provide a better customer service or better marketing. Normally experts advise to choose a niche for your product. This means, that if you don’t want to compete against Amazon, Hayneedle, or other major ecommerce retailers, you must choose a very specific niche and stick with it. Let’s say you choose construction ladders as a niche, make sure you create your retail business plan around the niche so that you’re the best out there, to the point that people will prefer to order from your online store than from another major online retailer. How? You start by having the widest range of ladders possible, more models, styles or sizes. You have an excellent customer service, in which either you or your employees are trained to answer any question regarding the matter. You might have videos on how to set up each and every ladder, or you make up a grading system to rate specific characteristics of the ladders. Another great way is to create a thorough buyer’s guide that answers every question before it’s even asked. That’s how customers will come to you, because you’re not an impersonal giant retailer, but a careful and comprehensive one, you become the familiar and expert face. Then, define the goals and objectives of your ecommerce business, for example, where do you want to be in six months? Do you plan to have the widest range of your niche’s products? Is your goal to offer out of this world customer service? Do you want to be the cheapest retailer, or a more upper-class retailer? These goals will define your path. Obviously, depending on your product some goals become sort of predefined, for example, if each of niche’s items cost over $500, you’re not targeting all the social classes, and you’ll need good warranties and customer service. If you sell cheaper products, people from all social backgrounds can afford them, and also they won’t care as much about the quality, which means fewer questions. Once you choose your goals and have a better idea of what your ecommerce business plan is looking like, you must choose your sales channels. Are you going to sell through eBay, through Amazon, or do you want to build you own ecommerce store? If you choose the latter, then it’s time to dig even further, are you going to drop ship, have your own storage or even manufacture your own products? Once you have decided, or have a better idea, it’s time to check for competition. There are many ways of doing this, but the easiest and fastest one is Google Shopping. Search the product you chose, such as ladders, and then go onto Google Shopping to know which are all the other retailers selling your same product. Check their stores, analyze their strategies, see who their suppliers are, and overall map the competition to see where exactly you want to position yourself. Once you have seen all your competitors and determined your window of opportunity to enter the market, you’re ready to either find the suppliers for your products, or find who will manufacture your own. Luckily, there are tons of online manufacturers all around the world, who will build any product for cheap costs; you buy bulk and ship to your country. Otherwise, find suppliers online in your country to buy from, and then ship to your warehouse or directly to customers. No matter which strategy you’ve chosen, keep in mind that another key factor of an online business plan is to have a purpose and communicate it to your audience or potential customers. Therefore, create a mission statement, a goal your business will have. Maybe it’s selling only sustainable products, or donating something after each purchase, or simply having an outstanding customer service. Whatever you pick, you must grow in the direction of that statement, never letting it go or forgetting it. You must hold it by the hand and walk with it, that’s the way you establish yourself with credibility. Let’s use ladders as an example. What can be your purpose? Well, an easy answer would be “to supply the best quality ladders to all the customers out there”. Now, that’s not exactly what you want, that’s extremely broad and it goes against the niche idea. When you’re choosing a purpose, a mission statement, you must go back to basics and niche again, since that’s what’s going to make you stand out from the crowd. So, going back to the point, if you sell ladders, choose an audience to whom you’d like to sell to, then if your business grows so can your audience. If you were to pick electricians, then you know that yes, you can offer all the ladders in the world, but you might want to specialize on fiber glass ladders so there is less risk of electrocuting the users, offer add-ons or other supplies that go in line with what electricians use, such as item-belts or tools. Have stable ladders and easy to carry, since electricians have to move around so much they want lightweight. With this in mind you can alter your purpose without having to exclude anyone, and your mission statement becomes something along the lines of: “we aim to provide safe and stable ladders, which decrease electric hazards, and are easy to carry on any construction site or working area”. Better isn’t it? You now specifically target electricians, and so will your descriptions and buyer’s guide, but you don’t exclude casual customers who need a ladder, or construction companies that need to buy bulk for a new site. Then, time to create a budget. What will it cost you to manufacture your own product? What will it cost to build your own online retailer? Is it more affordable to start selling through eBay or Amazon? If you build your store, do you have all the right permits to do business? Have you registered a corporation or any form of business to do it legally in your country? Have you planned how you will reach customers? Through Google Adwords, Facebook Advertising, word of mouth or even traditional forms of advertising? Ask yourself all of these questions, do the research and write down a budget of how much you will be spending as an initial investment and monthly. Then roughly see how much you plan to sell your products for, based on the price the market is determining at the time you plan to sell and to obviously give you a decent profit margin. After ticking all these boxes on your business plan, it’s time to move to the e-commerce part of it. If you’ve planned to build your own website, don’t forget to have a unique logo, a neat template, checkout pages, good information about you, your product, and your mission and offer great customer service. Step two of your ecommerce business plan includes an online marketing plan to attract customers. This is your most important expense. Common brick and mortar retailers spend millions on TV advertising or billboards, they have tons of employees and utilities to pay for. In your case you only have to cover the expenses for your shopping cart platform and your ads. Google Adwords is the most common way of attracting customers, and it should be on the top of your ecommerce business plan, although SEO is also incredibly important and we’ll discuss it later. Google has over 3 billion daily searches. 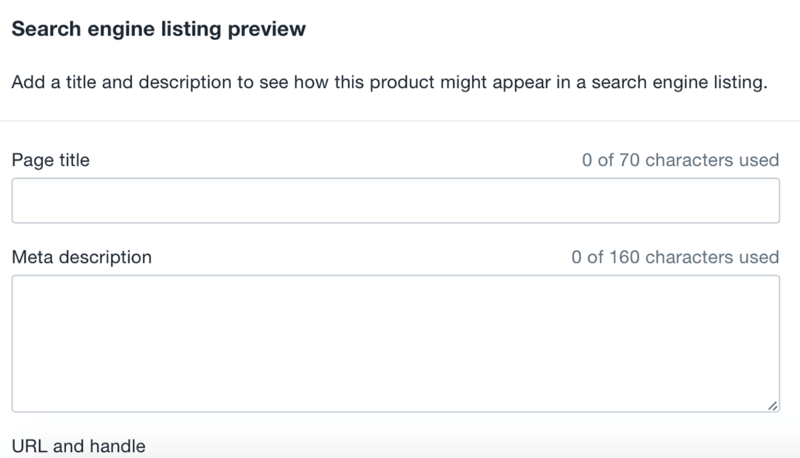 Not all of them are of users looking to buy something, but you could actually reach a lot of people even if they’re not searching for your specific products. That’s where Adwords comes into play. The way it works is by you picking keywords related to what you sell, so if you sell nutritional supplements online you pick words such as “nutrition”, so that whenever someone searches for the word or a phrase containing the word, depending on how much you bid to “buy” that keyword, your site will pop-up at the top of the Google search results page. As said before, SEO is a fundamental part of any ecommerce business. No matter which sales channel you choose, you’ll need it, and it’s also what brings organic traffic (free traffic) into your store. It’s similar to Adwords in the sense that you pick keywords. Let’s say once again ladders, so you think of words people might search for on Google, eBay or Amazon that are related to ladders such as “ladders or sale”. Your goal is to optimize your whole website, pages, images and product descriptions (that includes the heading, the description and even the URL) with the keywords you picked. Also, you have to write blog articles and link them internally to other pages in your site, or reach out to bloggers and influencers so they create external links from their blogs to your site. It’s time consuming, but not hard and it brings great results, as with time (usually between 3 to 6 months) a Google bot will see your pages (all the pages in your website should be optimized as they rank individually) and rank them higher in every search page. If you make it to page one, you’ll be getting a lot of free traffic and your margins might improve. Hence, SEO should be just below Adwords on your ecommerce business plan, and it should be something you thoroughly do throughout the lifespan of your business. Other online marketing strategies that should be a fundamental part of your ecommerce business plan are Facebook advertisements and building an email list. Facebook is a great platform to retarget leads that visited your website in the past, or even to get new leads into your funnel by having interactive ads, such as videos or great images. Facebook is different than Adwords, it’s visual, and as such, your online marketing plan should adapt to it. Building an email list is a whole other world, but again, not that complicated. Make sure to have widgets on your store to collect emails for a newsletter where you actually send out valuable content to your leads or customers. Or build a Facebook page for your company where in exchange of valuable content, you ask your followers to give you their emails. Things like these are what distinguish ecommerce businesses from brick and mortar stores. Why? Well, if you go to Macy’s and buy an item, they’ll offer you to get a points card or some sort of card that whenever you get to a certain amount of money spent, they’ll email you, or call you to let you know you can exchange points for products. Then you have to make your way physically to the store in order to buy the product. How about, you get a person’s email in exchange for a nice eBook giving tips on nutritional supplements, and then a month later email them about a 10% or 20% sale? Instead of driving to your store, it takes them five minutes to go online into your ecommerce retailer and actually make the purchase. That’s how ecommerce retail is gaining turf on traditional retail. Finally, once your up and running and you have ticked all the boxes in your ecommerce business plan, it’s time for you to declare yourself an official ecommerce retailer. From there you just have to keep in mind all the important aspects of your retail business plan, such as your mission statement, what sets your store apart from others, what are your growth opportunities, keeping good profit margins, and running an effective and efficient online marketing plan on the different channels that are worth your time and money. Your ecommerce business plan needs to start from picking a product, usually one from an area you’re either passionate about or you know well just to make it easy to start off. Then define the niche, define your goals, and set up a budget, and from there which sales channel suits you better. After that, define your mission and build your store based on it, and shape your marketing targets. With those boxes ticked, carefully pick your marketing channels, choose your keywords and start working on Adwords and SEO to begin with. If your retailer takes of, you can start battling on all fronts with a bigger store and mission, more sales and marketing channels, and you can call your ecommerce business plan a success. Does an ecommerce business plan sound challenging? Is there any part you think more important than the others? Share your thoughts in the comments. In the past few years ecommerce has been growing a lot and very consistently, and it won’t stop there, as reports from the National Retail Federation suggest ecommerce will grow a further 12% in 2017. That means it’s a strong industry into which many entrepreneurs are trying to succeed, but it’s not that easy, as they first need to know which are the ecommerce best practices. Now let’s take a look at what are these so called best practices. Needless to say, you must pick the right product to sell. This means that you shouldn’t try to get into an oversaturated market or niche, or worse, try to compete with Amazon. Choose products that have enough searches on Google (for this use Google itself, otherwise use other sites such as Spy Fu), make sure you’re not competing against ecommerce giants, and then start designing your strategy. Start by setting up a nice website using a shopping cart like Woocommerce and Shopify, get everything on track and proceed to designing a powerful PPC strategy on Adwords and Bing with carefully picked keywords, design an email marketing strategy, a Facebook Ads one too, and finally be committed to having a good SEO (we will talk about this in more detail later). Woocommerce is a free open source plugin that can work with any WordPress theme, however this means that to turn your theme into an ecommerce website, you might need to redesign things a lot, and on top of that pay for hosting. Woocommerce has the advantage of being more customizable and integratable. Shopify has a more straightforward approach, you pay monthly fee of $29, but that includes hosting and you can choose from a variety of themes designed by users (many are paid), and which are already crafted for ecommerce websites. Shopify is easier to use for beginners and offers a straightforward better ecommerce look. Overall, both are great platforms, and there are even others you can choose from. It’s just depending on your needs, preferences and expertise. With all these basic aspects on point, you can say you’ve started off on the right foot and you’re following the ecommerce best practices path. We should start by stating that although there are a few aspects more important than others, all these tips are meaningful for your store, they are all interconnected and you should try and do all of them. However, where you decide to start isn’t as important, as long as you do all of them. We’ll start off with the look of the website. Have you ever visited a site that’s very badly designed, hard to navigate, hard to find information and so as a result you leave after five seconds? You probably have, and you don’t want your site to be one of those, which don’t follow ecommerce homepage best practices. For example, take a look at the image above. This is the homepage of a company selling items in the beauty industry. The page does not inspire confidence at all, the font is barely readable as the color does not stand out from the background. The background is confusing and distracting. The side menu is good, it’s categorized well, but the font is blurred and the color is also not in line with the rest of the palette used in the website. Finally, we don’t see any images or prices for their products. It doesn’t follow ecommerce homepages best practices at all. Now let’s take a look at what you should do. The key is to increase conversion rates and decrease bounce rates (this is when people visit your site and leave immediately, they bounce out). Make sure the logo of your site isn’t taking too much space, it should be a nice professional logo, but where it’s located (normally in the header), shouldn’t take more than 15% of the screen of the visitors. Then make sure you have a comprehensible and useful top menu, with relevant categories for your niche, an “About Us” and “Contact Us” section and even a Search Bar. The latter follows the ecommerce site search best practices, allowing customers to find exactly what they’re looking quickly and easily. Your images should be top quality and should dazzle all visitors. This doesn’t mean that if you sell furniture you’re going to have an image of a lake, but make sure you have a top-notch image of a table in a nice living room. The idea is for customers to imagine themselves having your product, to picture themselves with it. The image above is an example of a very good homepage. The images are amazing and straightaway they catch your attention and you straightaway picture yourself either with their products or with the lifestyle they project. 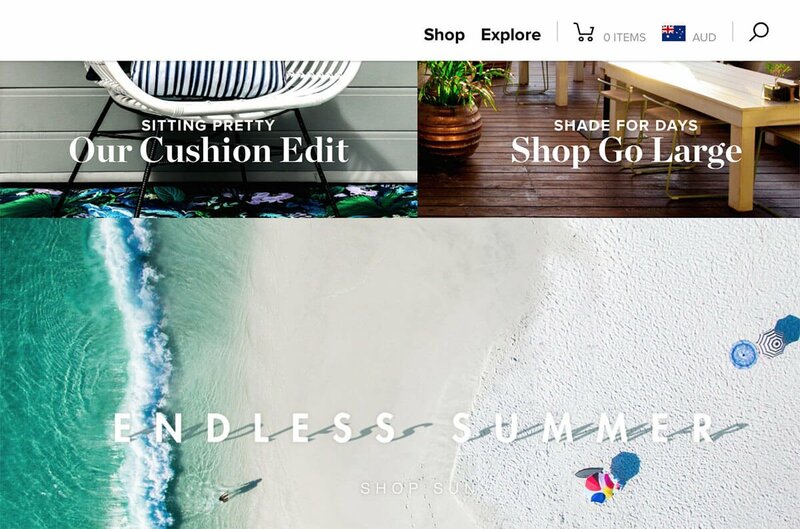 They categorize through the images, as you can see they sell cushions, they sell umbrellas and summer beach products, plus they have a simple, well designed top menu, with a search option. 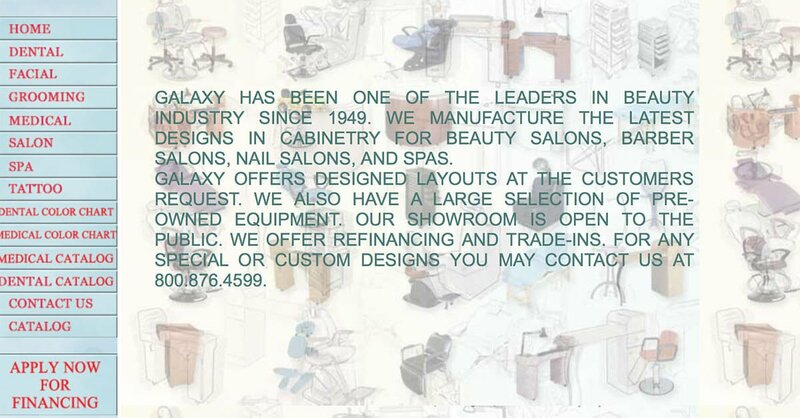 If you see the rest of the page you will find a good logo and top menu, which we didn’t include for copyright issues. Have very good information and content on the homepage that give value to your customers, they want benefits so give them benefits and make them feel at ease in your site. With that said, good ideas for content are: story telling about yourself, your company and why you got in the business. Story telling about your suppliers or your products. Bullet points and short valuable descriptions that catch the eye and are easy to read, will generate interest. Finally, answer any possible question in advance. Another important feature is having your social media and signup email forms at the bottom or in the sidebar of the home page, making it easy for customers to see them and join them. Plus, having all the contact information available, such as email address or phone numbers, or even a chat box is also positive. Don’t’ overwhelm customers with complex pages, or too much information and content. Keep the site clean and simple; don’t saturate it with images, information or other things. Don’t distract them from what they’re looking for. Guide them through the funnel and into a sale. The image above is an example of a great landing page which follows literally all the ecommerce landing page best practices. The images are very good quality, all the same size, you can zoom in to see the item closely, and see it from different angles. It has the price and discounts well shown, the name of the item and manufacturer are easy to locate, the “Add to Cart” button is in an attractive but not distracting color. It shows all the relevant information (free shipping, where to ship it and when to receive it), plus an upper categorized menu showing to which categories the item belongs to and even the possibility of sharing it on all the social media platforms. Don’t forget to make the reviews visible so people can see what other buyers think about the product, a good app is “Product Reviews App”, it’s free and commonly used, it will show the reviews below the product. Take a look at the image above and see how they placed the reviews right below the name of the item. Also, add plugins in your shopping cart such as add-on items. The idea is to give other options to customers, that way they get more value and you can upsell other products and make bigger sales. Furthermore, add seals. These are basically logos that you can get from third parties. For example, PayPal issues security seals; any SSL seal or Anti-Virus companies seals. Make all of these seals visible so the customer will see them and know your site is reliable and they won’t be scammed. This is a key component of any ecommerce site; it is one of the most important ecommerce website best practices as it generates trust. Finally, have a good checkout feature. Don’t limit yourself to PayPal, allow credit cards and make sure your checkout gateway stays in your site (it doesn’t take customers into another website), so that they feel safe and takes them less time to insert their information. A fundamental ecommerce marketing best practice is a great strategy. Depending on your product or customer you’ll go through email, Facebook or most commonly, Google Adwords. The latter will require you to have well-written, smart ads that will lead customers to specific landing pages and hopefully convert into a sale. Many forget the importance of a straightforward title description. The image above shows a contrast in the quality of the ads. When you search for “tables for sale” you get these two. The first ad has a great call to action: “70% off”, which straight away will catch the attention of anyone and increase the chances of a click. The second one has no value and offers no call to action. On top of that, the first ad uses many Google Adwords extensions, such as additional Site Links (that would be the four other links below the descriptions), which take more space in the SERPs (Search Engine Results Page) meaning anyone searching will see it and most likely click it. It has the ratings extension, a nice short and clean URL, and overall a description full of valuable information. The second ad is boring, it has a URL non-related to the “Dining Tables For Sale”, as it says “/Answers”, which in our opinion is confusing. Overall, you want to create ads with great title descriptions, powerful call to actions, URLs related to the item you’re selling, useful ad extensions such as additional site links, and also good product descriptions. It’s fundamental to to A/B test with ads and pages. Ecommerce marketing best practices also include this, as a matter of fact is key to analyze data and get to know your customers. To A/B test you can do it yourself without any tools. Simply track the different results via Google Analytics. The way to do this is mixing landing pages or different ads on Adwords, and through Google Analytics you can see which landing pages had more conversion rates, or bounce rates, or which ads had more clicks, etc. Otherwise, there are paid plugins or services, the best one being Unbounce. This tool let’s you build very responsive landing pages with an easy to manage interface with a drag-and-drop tool, and then you just test the landing pages based on where or what customers are clicking or seeing. It gives you data, similar to Google Analytics on what goes on in the page. Other useful paid tools are VWO or A/B Tasty. If you decide to try it yourself through Adwords, mix the ads a little bit, create a minimum of four different but related ads, with different titles or descriptions, have Google rotate them automatically and see which ones get more clicks and conversions. Test different time schedules or even days of the week to publish your ads, see the results. A/B test your landing pages, ecommerce landing page best practices include these A/B tests. For example, add more descriptions in one landing page than another, or more trust seals in other, or have extra add-ons here or there, and see which ones have more conversions (sales) or bounce rates. This goes hand in hand with the great marketing campaign, but it fits another criteria. You can do retargeting also in the SERPs. The way retargeting works is that when a customer visits your site, you pixel them (this is done automatically by the shopping cart, you can decide for the pixel to activate only if they visit specific pages or stay for long enough in your site). 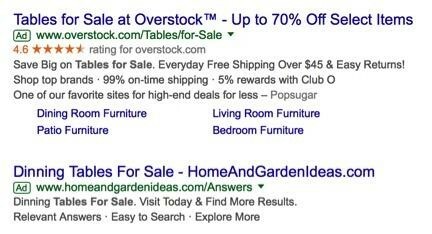 Once they are pixelated, if they type again a query (they do a search on Google), you can show them a specific ad to reel them back into your site, but further down the funnel. To explain better how the pixel works, normally your shopping cart, let’s say Shopify, has an option to pixel customers. It gives you a code, which you then copy and paste on either the header, the footer, or another part of your website (on the back-end, so on the code of the site). Once integrated, the pixel starts to work automatically. Otherwise, remember to retarget through other channels. Once a customer visited your site, they’re already in the funnel, so you might follow them around on Facebook or other websites with Display Ads to remind them they should buy your product. The easiest tool for email marketing is MailChimp, which gives you a lot of options to design your own subscription boxes, emails, email campaigns and build email lists. It is extremely easy to use, with also drag-and-drop options and readymade templates for email campaigns. Another good and easy to use tool is Sumo Me, which gives you the option of creating customized pop-ups to call the attention of customers and have them subscribe to your newsletter, or free e-books. Sumo Me also gives you statistics on websites visits and navigation. You can pay for the advanced features, or use the basics for free. Following these best practices for ecommerce is a smart way of getting more conversions. Many store owners forget SEO (Search Engine Optimization) and focus only on paid ads. That’s a mistake. Ecommerce SEO best practices will bring organic traffic into your site, as well as improving your Quality Score with Google (making your ads cheaper) and will help you rank higher. The best way to do SEO is to start by picking the keywords that are related to your products. Let’s say you are selling tables, then keywords could be: “tables for sale”, “best tables”, “lightweight tables”, etc. Then, focus on optimizing your website according to those products, starting by customizing your homepage and landing pages using the keywords that you think will generate you more traffic. Customize all your product descriptions with the targeted keywords. Writing at least one blog post per week will help SEO and it will add credibility to your site, it will give valuable content for customers and can help you create weekly newsletters. Furthermore, write keywords in the Alt Text of all your images. This is commonly forgotten, but it’s a great way of improving your SEO. Then, include links in the different pages of your website. These are called backlinks, and SEO is optimized if you for example have relevant internal links. 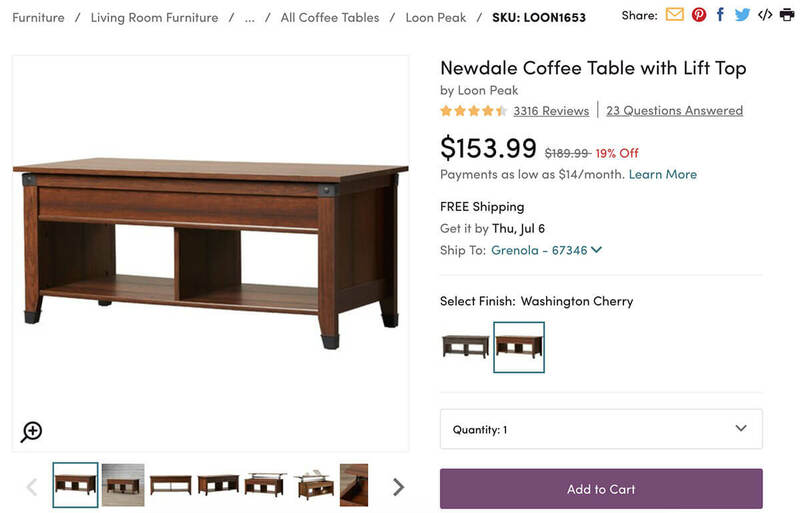 So, if you write a blog post on coffee tables, maybe add a couple of links from the blog post to a few product pages (other tables), or to older blog posts or informational pages on your site. Another good practice is to make sure that the Meta Title and Meta description of each page is different and customized. Most shopping carts, when you’re publishing a page or a product, they give you the option of customizing what will show up on the Google Search. The image above is what we were talking about before, this shows you where to include your Meta (or Page Title), the Meta description and then the URL. You can customize all this, including your keywords on the title, description and even URL to optimize the SEO. Do this for each page and product, and yes it is time consuming but organic traffic is free, and a good SEO improves your quality score. Trust us, dedication is the key to success. One of the biggest difference makers, is following ecommerce customer service best practices. Make sure you have your number easily visible for any visitor, have a Contact Us page with all your information, from email to address, have a great FAQs page visible in all your product pages, add a Buyer’s Guide, and why not a chat box. This can be what makes a customer choose you rather than your competitor. Answer the phone when they call, be polite, be comprehensive and assertive. Offer free shipping if possible and always make customers feel at ease. You’ll see how not only will your conversions rate grow, but you’ll have great reviews and customers coming back. Another breaking point when it comes to your website standing out, is your shipping policy and times. If you follow the ecommerce shipping best practices, your site will be releasing the shipment the same day the purchase was made. In order to do this you need to process the order in less than 24 hours, contact the suppliers and pay them if you are drop shipping, or make sure that your shipping company can ship that same day. The idea is not to take longer than a week, on average, to get your products to your customers. We can’t tell you how important mobile is for online retailing today. It should be a key aspect of every ecommerce store and it’s where the future is headed, definitely an ecommerce best practice. Stats show that today, more than 50% of ecommerce store visitors are on mobile phones, and although the conversion rate is lower than on desktop, it’s definitely the biggest gateway. That’s why you must have a good mobile site and follow good mobile ecommerce practices. Normally, any template you add to your store will already have mobile, but make sure you tweak it and perfection it. You want to make sure visitors will have a great experience navigating your mobile site version, so they either buy or then come back on desktop and produce that conversion. With all these ecommerce best practices your store will not only get more conversions, but it will look much better and be ready for the future. Remember that you have to keep track of all these, put work into it and make sure you stay up to date with future changes. Online retailing will only keep growing and evolving, and so will the ecommerce best practices in 2017, so keep up to date if you want to succeed. Are you already doing some of these practices? Is there any other tip we should have included here? Let us a comment. Are you starting up your online store? Looking for some trends and tricks to skyrocket the sales on your eCommerce? Joining in meetup groups will expand your network, get you sharpen with the latest trends, and push your business to the next level. Meetups usually meet once a month to discuss the best practices and challenges in the land eCommerce. It’s a great chance to get together, discuss ways to solve common problems, and – of course – have fun! First of all, gather all the above ingredients together. Measurements aren’t specified as each eCommerce manager is unique and their role tailored to their company’s individual needs. Below is the basic recipe of how you can bake your skills to become a success! Begin by getting out your ability to foresee trends. You will need this to keep things fresh and exciting. Work this skill in with your design team to create something that will stand out to the client, you want to research your specific target market, learn what attracts them, what they want from a website and tailor it to your requirements so they actually click on your brand instead of scrolling to the next. Roll in some passion and inspiration here an extra tasty outcome. Next whisk in those excellent interpersonal skills; this will help not only communication within your team, and making sure you’re all singing from the same page, but will help with customer/supplier conflict resolution, because we all know life does not run smoothly. This, combined with actively listening to your target audience will build consumer confidence, which at the end of the day means they’ll come back for more! You can now blend in your analytical skills; what is working, what isn’t? How can you change that? What trends are standing out at the moment? Maybe look at how can you add a unique perspective that no one else is offering? You need to this to keep ahead of the game, you don’t want the same old same old because there is enough of that flooding the internet. You want to be able to keep current clients but also attract new customers to your products and site. At this point we can add a pinch of your web design skills and knowledge, utilise what you’ve learned from your research to make a stunning end product! One eCommerce Manager; a jack of all trades, the glue that holds the online presence together, the firewall between success and disaster, the engineer holding the wrench when a supposedly oiled cog breaks within the team. It’s not a role for the faint-hearted, but it is incredibly rewarding and will definitely keep you on your toes! The eCommerce world is booming – consider the fact that 2015’s Cyber Monday in the US generated more than $3bn in sales. Whether or not you’re thinking about the kind of skills you need to develop yourself as an eCommerce manager or perhaps you’re thinking of hiring an e-commerce manager to run your online store, what type of skills should such an employee have in order for your online shop to be a success? Perhaps the most important skill an eCommerce manager needs to have is a good set of analytics skills. Running a website and selling products requires you to know exactly what’s going on – what’s selling, what’s not, and why? That usually involved deep diving into tools like Google Analytics, Woopra or Adobe Analytics. They also needs to be creative as this job requires him to bridge the traditional and web-based sales. Leading work teams and seeing the results then applying measures to eliminate problems is very important for any such manager. You’ve got to be excited about the products you’re selling, and selling online. Yes, every eCommerce manager needs to be passionate about purchasing online and the technologies that come with it. In fact, a good manager like this needs to know all the tech that is needed in order to properly run an eCommerce site. Granted, one can hire professionals in order to stay away from this but the reality is that a passion for tech and proper knowledge can easily pay off. A good eCommerce manager will always need what online business management parameters are needed in order to generate good sales. Anticipating trends and being perceptive is mandatory here which is exactly what you have to focus on for the best outcome. Obviously, the eCommerce manager needs to have some logistics expertise as well. Logistics is a crucial part of the e-commerce world so having this skill is very important. The manager can either create a dedicated logistics department or outsource it, that all depends on the experience! Leadership is one of the most important skills in the e-commerce world and the e-commerce manager needs to have plenty of that. They need to be able to take decisions and he has to work hard in order to reach progress at all times. That’s what really makes a good eCommerce manager stand out. Also, handling difficult situations properly is mandatory for a stellar manager like this, so there’s that. There’s no denying that being an eCommerce manager does require a complex approach towards selling online. This job is not for everyone and it does come with its own set of skill demands. Some of these are very challenging as you can see but that’s what really manages to boost the experience forward. If you want to become an eCommerce manager, then you should definitely consider acquiring these skills via learning and a lot of hard work. Granted, it will not be easy but it will provide you with great results in the long run. Don’t hesitate and check out this amazing opportunity and lead eCommerce sites to new heights, you will certainly be amazed at the huge potential that this job has to offer! What exactly does an eCommerce manager do? As an online version of traditional retail, ecommerce follows almost the same processes, but not the same number of employees. Ecommerce can be a one-man show, and it can run like a shop with an army of staff, from the cashiers to the stock clerk. That one man, however, should be the owner and manager. If it follows a different business structure, it still requires that one person to act as an ecommerce manager. What does an e-commerce manager do when there is no else or there is only a few people to manage? In the virtual marketplace, business roles can take on a totally different form. Because e-commerce is a business transaction between computer systems, a manager will be responsible for a wide range of back-end roles. Ecommerce begins with a website where transactions take place. Whether it’s built on Magento, Shopify, WooCommerce, Zencart or Opencart, it’ll require communication between you and the vendors, or between you and the clients. There are lots of factors that make an impressive e-commerce website, but only a few may be applicable to your type of products and services. It is then your responsibility as a manager to collaborate with designers, website developers and content providers to create the most appropriate and cost-effective web system. You must ensure that the website has all the functions visitors’ and clients’ need to select, order and pay for products and/or services. It is your job to develop a flowchart that web designers will use as a guide for design implementation. Together with the product and marketing managers, ecommerce managers develop an online strategy that takes into consideration online offers and sales, product pricing and online policies. This duty also involves monitoring costs, developing project budgets, and generating status reports to track sales. It is your job to identify your target market, so you can develop the best marketing campaign that will attract more customers and increase website traffic and online sales. Part of this process is to generate leads and convert them into paying clients. This is where customer intelligence comes into play, which will help you better understand consumer behaviour and their spending power. It is also through customer intelligence that you can create a more personalised approach to email marketing and other promotional tools. An e-commerce manager is also responsible for protecting consumers against cybersecurity risks, such as virus, malware and data breach. Because security is critical to the success of an ecommerce business, you must work with security specialists to ensure stored customer data is protected against identity thieves and cyber criminals. You must also ensure that payment providers offer your clients a secure payment system when using credit or debit cards. Since ecommerce is dependent on website performance, part of an ecommerce manager’s role is to regularly monitor the site content and system. This means making sure the entire website is working properly, that all functionality, especially around the shopping cart is working properly, and that the pages load quickly. Page errors and broken links are lost business. Maintenance is all about keeping things running smoothly to ensure the website is up and running at all times so you can keep selling. So like any good entrepreneur I am continuing to learn new things by creating something new in this instance, it’s the eCommerce manager blog! I want to help you become an #ecommerceboss in the big world of online selling. My hope is that I can save you some of the ‘wheel spinning’ time and get you set up to run your own eCommerce shop! Or possibly give you hints of wisdom to those already immersed in the world of eCommerce so you can look smart in meetings. Who am I and how can you help you ask? Well, you’ll just have to keep reading to find out. What I do know is that I found reading and listening to podcasts during the hours of sitting on my own trying to create something very helpful! The world of going out on your own can be a little lonely, and the wells of creativity can sometimes dry up, so if we can help one person move forward to create something great, that is why this site is here! I have also sat in hours of meetings while managing big eCommerce shops or brands so hoping to help keep you on your toes too.